This is such a fun, quick sew. Perfect for beginners. 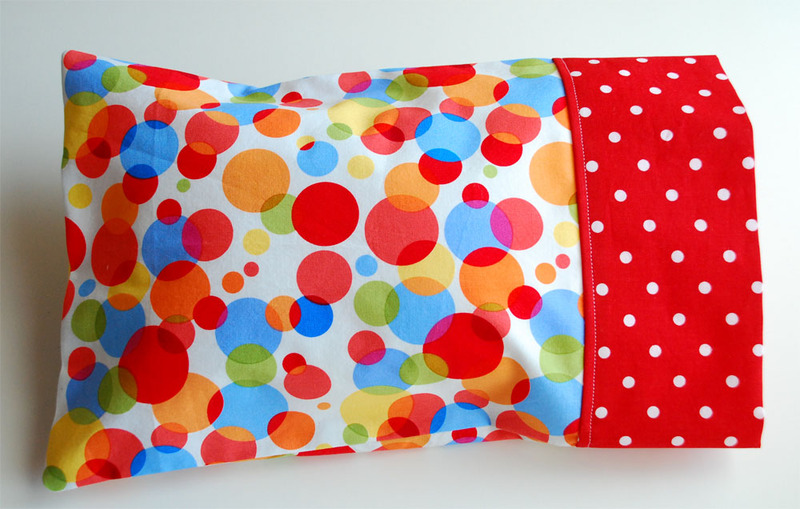 The pattern includes the instructions to make a toddler sized pillowcase and toddler sized pillow. 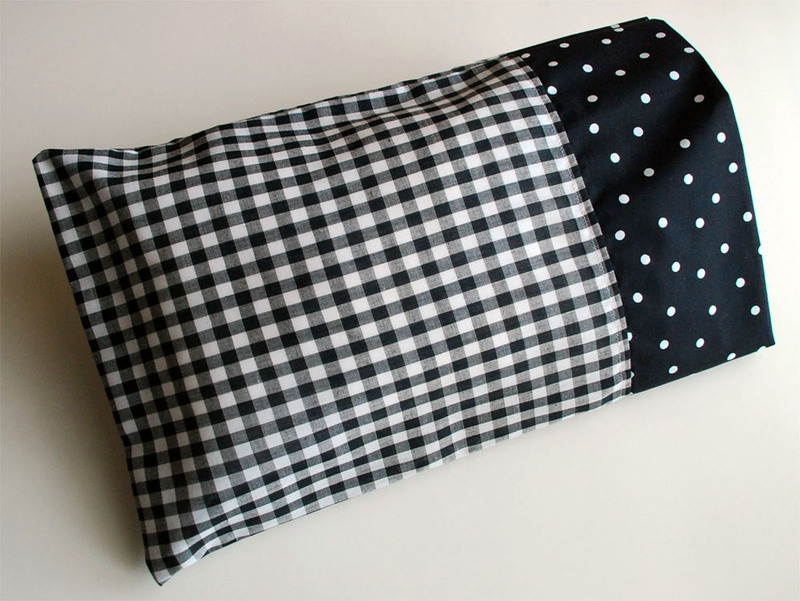 The pillow is also perfect for travel. Keep one in the car or carry it on a plane. 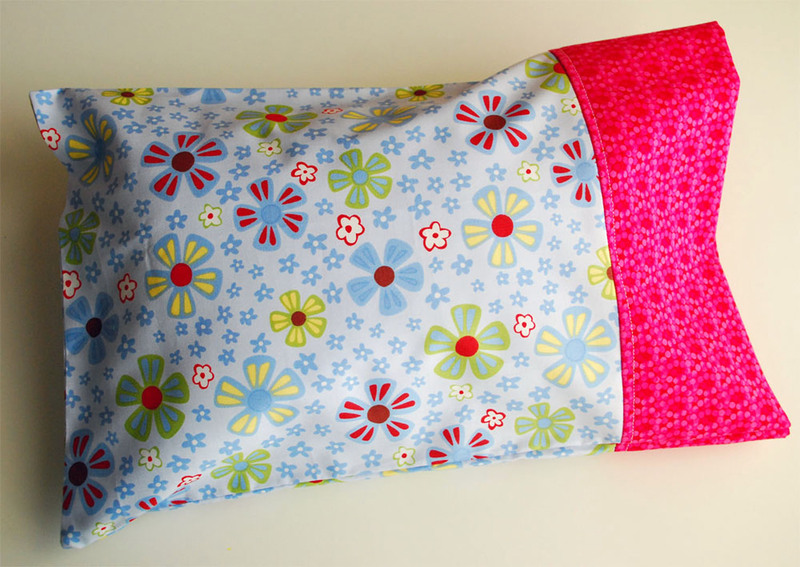 This pattern includes all of the instructions to make the pillow & case. The steps are illustrated with photos. Find the pattern here. i have a cotton jersey print with grandaughter’s name on it….I need to use it, but for contrasting edge, should i choose another jersey print? i know it won’t lie as nicely, but it’s what i have to use…. Hi, Susan! I think the jersey for the contrast would look nice. Maybe topstitching along the seam will help it be smoother.